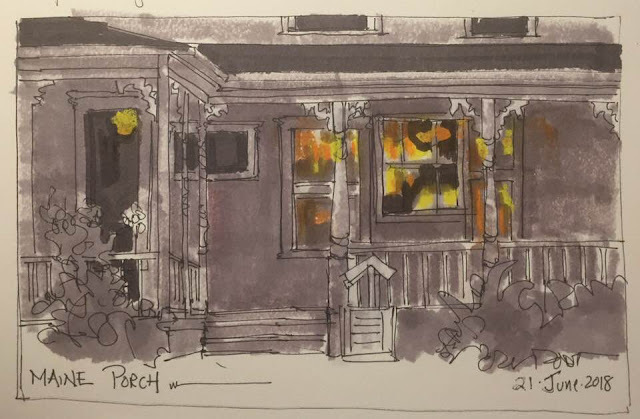 A few years ago, I joined some artist friends in New Harbor, Maine in a lovely Victorian house for a week of painting and friendship. I went two different years. The area is very familiar to me as my family has been visiting there for several generations. Here is a drawing of the porch at dusk, just as the interior lights were coming on. It's a sweet place.